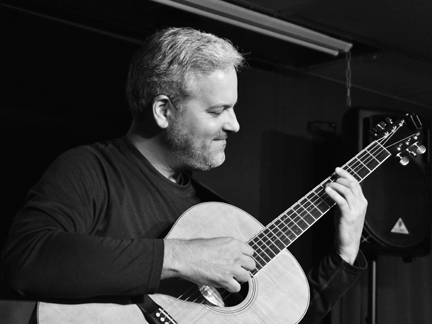 Virtuoso fingerstyle guitarist Glenn Roth plays Best Video Performance Space on Friday, Aug. 3. The show starts at 8 PM and the cover is $5. 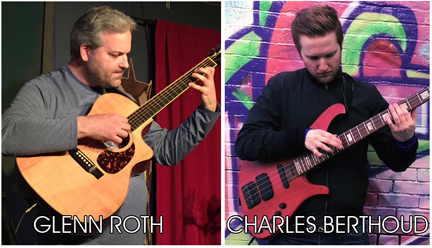 Virtuoso finger style guitarist Glenn Roth and solo electric bassist Charles Berthoud play Best Video Performance Space on Friday, Mar. 23. The show starts at 8 PM and the cover is $5. Charles Berthoud is one of the most exciting and versatile new bass players on the world stage. As a soloist, he is now recognized as one of the masters of the two-handed tapping technique, which allows him to accompany himself like a pianist on his bass. He also uses contemporary guitar techniques to play fast, almost flamenco-like passages such as the end of his song, “Luna.” Charles uses these techniques to write beautiful and moving compositions which often sound like dramatic film scores, or relaxing piano pieces. Charles has performed at prestigious venues such as The Palace Theater in Manchester, NH, and Agganis Arena in Boston, MA. Audiences are always moved by his music, and blown away by his world-class virtuosity. Charles has conducted clinics and workshops at notable institutions such as Berklee College of Music and New Hampshire Bass Fest. He has also published an instructional book, “Two-Handed Tapping,” with Berklee professor, Jim Stinnett, and has won awards such as 1st place at the New Hampshire Bass Solo Competition. His music can be found online on YouTube, and his CD, “The New Age of Solo Bass”, is available on iTunes. Charles also plays in groups such as “Cat and the Moon” (Celtic/Bluegrass), and “Rising Lions” (a duo with Grant Stinnett). Both of these groups display musical excellence and play regularly in the New England area. Charles is also a successful studio bassist who records for artists remotely from his home, in all genres. 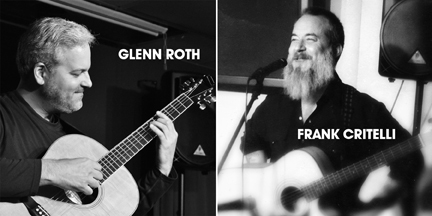 Songwriters Shawn Taylor, Glenn Roth and Frank Critelli perform in the round Thursday, Mar. 8. The show starts at 8 PM and the cover is a sliding scale of $5-10, pay what you can in that range. 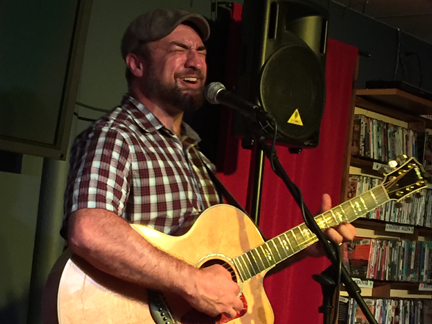 With a thumping thumb, dancing fingers, wailing harp, deep, gritty, soul stirring vocals and poetic blue collar lyrics, Shawn Taylor’s songs ooze American roots; wandering roots. He’s drawn comparisons from Tom Waites to Ray Lamontagne, Bruce Springsteen to Chris Smither, but his original songs are colored by the experiences of his own working class, wandering roots. He’s been an oysterman, carpenter, hitchhiker, homeowner, familly man, Appalachian Trail ‘thru-hiker’ and a performing musician and song writer, for over twenty years. 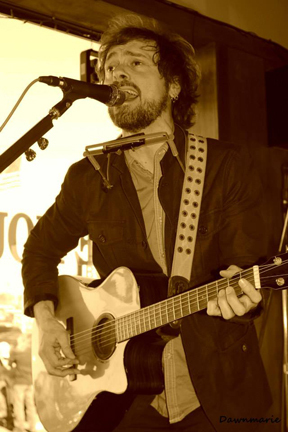 He plays venues from New England to Nashville and has shared the stage with artists such as, Maria Muldaur, Peter Mulvey, Vance Gilbert, Garnet Rodgers and Caravan of Thieves. Glenn Roth is not your typical commuter from Connecticut. Instead of a briefcase, he carries a gig bag. His workspace is the vaulted splendor of Grand Central Terminal or the tunnels and platforms of the New York City subway system. A literal “underground” sensation, Glenn is a licensed performer in the MTA’s “Music under New York” program, playing for the most distracted and demanding audience in the world: legions of workers rushing to jobs throughout the Big Apple. And his fingers work magic, creating a soundscape of compelling melodies that invite them to leave the city rush behind on an aural escape. Roth is a fingerstyle guitarist, his thumb riding the bassline and the melody driving all. His compositions suggest multiple guitars, but it’s really just one guy, ten flying fingers, one instrument. All instrumental, Roth’s songs suggest moods and narratives that compel the listener to fill in the details. Frank Critelli writes songs. He dabbles in haiku and other short poetry. He also writes other things. Like postcards. 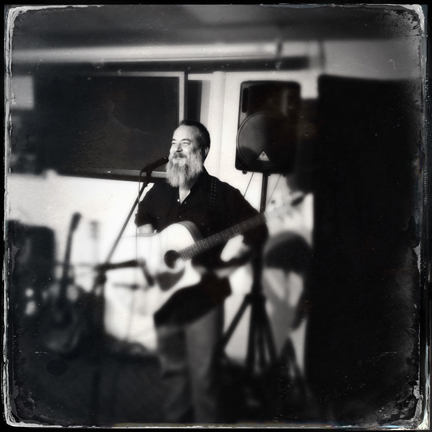 Frank Critelli often performs live. Sometimes he performs solo, sometimes he is accompanied by one or more musical co-conspirators (“The Don” Horton: bass guitar, acoustic guitar; Shandy Lawson: lead guitar, mandolin; Mark Mirando: keys, guitar, backing vocals; Al Raebuck: guitar, backing vocals; Rich “Southbound” Suarez: drums; Jim Stavris: drums; Ed Leonard: percussion; Bumpy Chimes: guitar, misc) or in conjunction with other songwriters (most specifically, as part of the Times Three Tour with Christopher Bousquet and Mr. Ray Neal). Over the years he’s played in streets and subways, barrooms and classrooms, coffeehouses and colleges, theaters, festivals, and (most recently) in his kitchen. Solo guitarist Glenn Roth plays Best Video Performance Space on Friday, July 21. 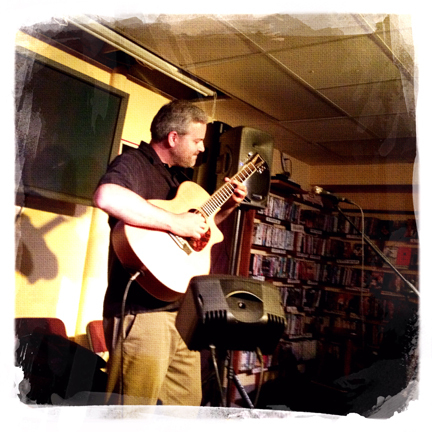 Guitarist/songwriter Dana Merritt opens. The show starts at 8 PM and the cover is $7. Dana Merritt is a Guitarist/Singer/Songwriter from Glastonbury, Connecticut. Active since early 2013, Dana tries as hard as possible to push the limits of what can be done with nothing but a guitar and a voice. The main standpoint of their original music is to simply defy words and genre connotations. 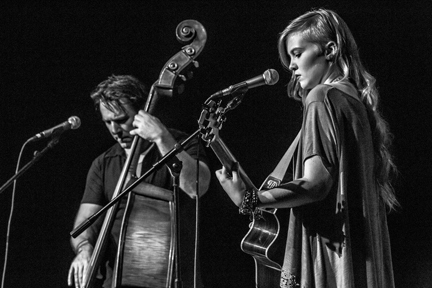 Drawing influence from all different kinds of music, Dana has been compared to Mike Doughty, Keller Williams, Michael Hedges and St. Vincent, among countless others. Orchestral music and electronic music also heavily influence the original compositions, such as Stars of the Lid, Com Truise, Boards of Canada, Brian Eno, Lusine, Justice and hundreds more. 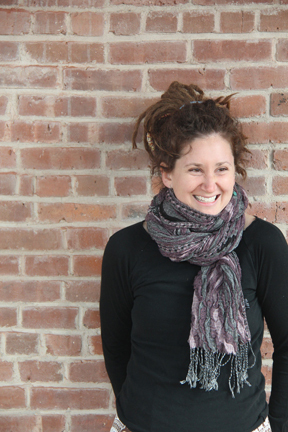 Dana believes that music should not be boxed with words. Words and Genres should only be used when trying to communicate something intangible to somebody else, and you should never corner yourself into habits when composing original music. The result is something truly unique. Even Dana’s cover songs are heavily dissociated from their original forms. If anything is true about Dana Merritt, its that you will never know what to expect next. Dana was signed to Fretmonkey Records out of Conway, Arkansas in March of 2016. Since then, Dana has toured across the United States and Canada with some other amazing Guitar-based artists. You can find Dana’s Debut album, Get yourself Together, to be released on Fretmonkey in early 2017. Solo guitarist Glenn Roth plays Best Video Performance Space on Friday, Mar. 24. 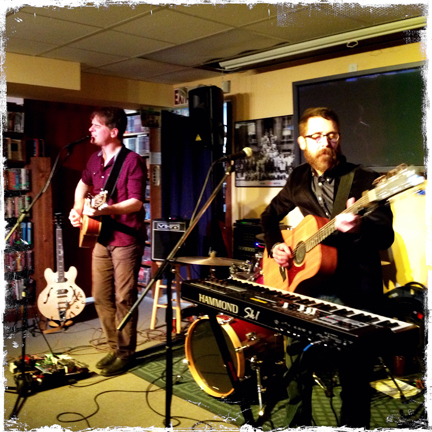 Singer-songwriter duo Belle of the Fall opens. The show starts at 8 PM and the cover is $5. Roth has released four CDs to date: Innovations (2005), Busker (2006), Into the Unknown (2010), and Welcome Home (2015). 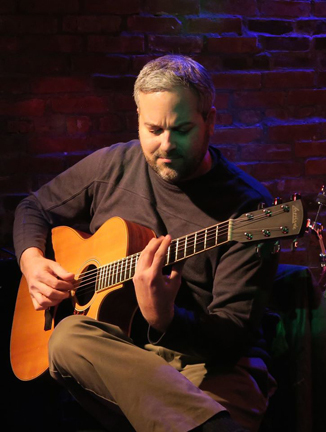 His original compositions have been hailed as “sheer virtuosity” (20th Century Guitar magazine) and “delicate, accomplished solo acoustic guitar work” (PLAY: New Haven Arts & Entertainment Weekly). Roth released a new “Another Dimension EP” in April of 2014. In 2014 Tracy Walton produced Julia Autumn Ford’s debut album at his studio On Deck Sound Studio. In essence the record is somewhat the birth of Belle of the Fall, as Tracy plays all of the instruments on the record and Julia sings. Later that year they would tour the East Coast together sharing bills playing separate solo sets, with Tracy sitting in on some of Julia’s songs. Sometimes an idea seems to simple so it takes a while for it to come to fruition. Simply put, two is often better than one. With Belle of the Fall it was as simple as an agreement of “All in.” The summer of 2015 was the right time for two forces to collide. Julia – The obvious choice for lead singer in any situation, acoustic guitar, yukitar, occasional melodica. Tracy- Upright bass, harmony vocals, drums when back lined as he is not a fan of carrying things. 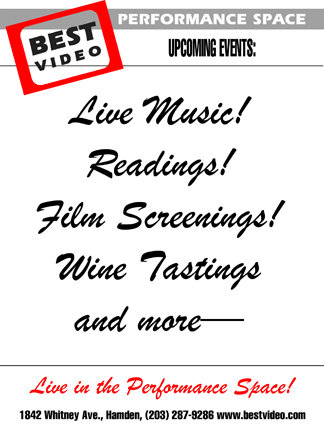 Solo guitarist Glenn Roth plays Best Video Performance Space on Thursday, Dec. 1. Singer-songwriter Kristen Graves opens. The show starts at 8 PM and the cover is $5. Kristen Graves is a folk/pop singer, songwriter and humanitarian. 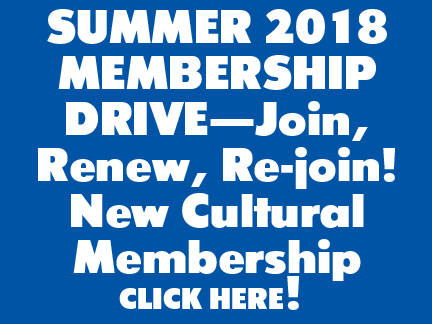 Mentioned by both Rolling Stone and the New York Times, and given her own day across the state of Connecticut by Governor Malloy for her musicianship and activism, she has shared stages with Pete Seeger, Peter Yarrow, Rusted Root, Holly Near, Dar Williams, Guy Davis, Dan Zanes, David Amram, Harry Belafonte and many more. Her latest album “Now Ain’t the Time for Tears” is available on iTunes. Alt-country group Lines West and guitarist Glenn Roth will perform at Best Video Performance Space on Friday, June 24. The show starts at 8 PM and cover is $5. Lines West live at Best Video Performance Space in February, 2015. Guitarist Glenn Roth plays a CD release show at Best Video Performance Space on Thursday, Oct. 15. The music starts at 8 PM and the cover is $5. Roth has released three CDs to date: Innovations (2005), Busker (2006), and Into the Unknown (2010). His original compositions have been hailed as “sheer virtuosity” (20th Century Guitar magazine) and “delicate, accomplished solo acoustic guitar work” (PLAY: New Haven Arts & Entertainment Weekly). Roth released a new “Another Dimension EP” in April of 2014. 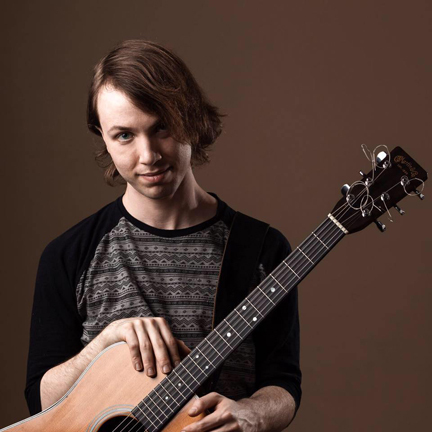 Singer-songwriter Seth Adam (accompanied by guitarist Gerry Giaimo) and fingerstyle acoustic guitarist Glenn Roth will play sets at Best Video Performance Space on Thursday, May 28. The show starts at 8 PM and the cover is $5. Since his last band broke up in 2005, he’s continued making music under his own name. In 2007, his song ‘Get Out’ was licensed to Volkswagen for their Sights and Sounds campaign. In 2008, entertainment columnist Roger Friedman (then at FoxNews.com) called him “the hardest-working, best live act in indie rock.” In 2010, Adam was recognized in The New Haven Advocate’s reader’s poll, winning the Best Rock Band category. The experiences of touring – the pursuit, the push to be something bigger than myself, days of doubt, days of pride, meeting some wonderful folks, sharing a lot of different stories, and seeing some amazing places – became the catalyst to write the songs for his record “Steel Tempered Pride,” which came out in September, 2013.